Water heaters provide us the hot showers we enjoy at the end of a long day. They also allow us to wash our clothes and dishes. Without one, we would be living in the past. If your hot water heater is acting funny, leaking, or is not working properly, then you may need to call a water heater repair company. Alvarez Plumbing can either repair or replace your water heater allowing you to get back to your everyday life quickly. 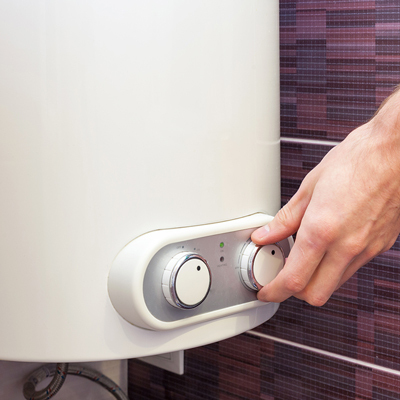 Water heaters make up a large part of your plumbing system. They connect to all pipes going to sinks, showers, tubs, dishwashers, and other appliances. A sign of a problem with your water heater could be: having no hot water, the water heater is leaking, or your water has an odd smell. If you are experiencing any of these signs, you have a water heater problem and should get a professional involved. Alvarez Plumbing has over 40 years experience as a Tampa Plumber and can help repair or replace your water heater quickly. We provide written plumbing estimates, so there are no surprises.